The Larson Electronics SPLT-1.06K-LM30-8XWP600E-AT-BC-V2 solar powered LED light tower provides a safe and effective way for operators to quickly deploy 240 watts of intense LED illumination to elevations up to thirty feet. This solar light plant features a telescoping light tower that folds over for easy transportation, a rotating boom that allows for 360° rotation and a removable mast head for storing the four LED light fixtures when not in use. The unit, which is designed to fit inside a container, features four 265-watt solar panels and a 1,000 aH capacity battery bank. The entire assembly is mounted onto a single-axle trailer, allowing operators to transport this solar light tower from location to location. Solar Powered Light Tower: This solar light tower includes four solar panels, solar charging system, battery bank, battery charger and manual crank up mast mounted on trailer with outriggers. The 1.06 kW solar generator system replenishes amp hours of usable battery capacity per day, assuming 5.5 hours of peak charging sunlight. 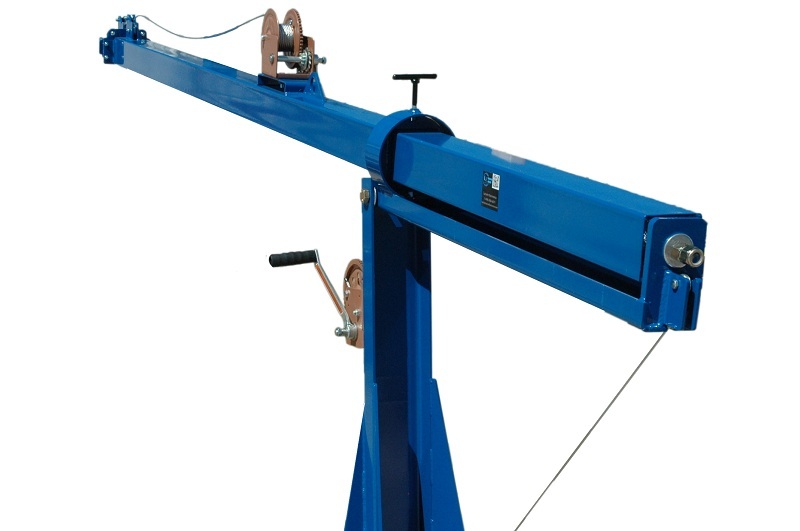 This system delivers 24 volts for lighting mounted atop the 30` telescoping light mast. For portability, this solar tower assembly can fit inside a container. Two units can fit inside a 20-foot container and four inside a 40-foot container. The SPLT-1.06K-LM30-8XWP600E-AT-BC-V2 is supported by four 250aH 12V batteries, equating to 1,000aH battery capacity (500aH usable). A battery charger provides flexibility during deployment, which allows operators to supply power to the batteries using an external power source. This feature is useful for fast turnaround projects, sustaining extended periods of illumination and remote sites that lack adequate exposure to sunlight. LED Light Fixtures: This solar light plant is equipped with eight of Larson Electronics` LEDWP-600E high output LED light fixtures. The LEDWP-600E consists of six 10 watt LEDs housed within a waterproof aluminum housing that is powder coated for added durability and resistance to corrosion. The housing incorporates integral cooling fins for efficient heat dissipation and increased LED longevity. The LED lamp assembly is protected by a shatterproof polycarbonate lens which is secured to the housing with a waterproof seal. Mounting hardware for the LEDWP-600E consists of a stainless steel coated bracket and stainless steel screws to provide secure mounting and resistance to rust and corrosion. The mounting assembly provides for 360/180 degrees of rotation and tilt to allow the user to position the unit as desired once mounted. Solar Panel Assembly: This unit is comprised of four 265-watt solar panels, generating a total maximum output of 1.06 kW. 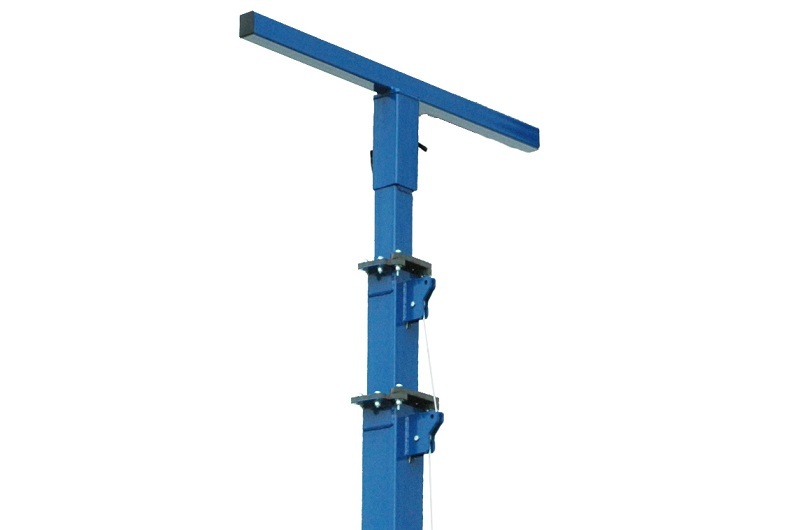 The panels are mounted securely on a sliding assembly. During deployment, the top solar panels slide out to form a four-panel array for maximum exposure to sunlight. The panels are wired to the solar charger control box which manages the charging system. When in use, the four solar panels are angled at 47° to capture the intensity of the sun for optimized light intake. In a stored configuration, the panels measure 6.58` x 5.81` and 13.11` x 5.81` when fully deployed. Trailer Assembly: The entire assembly is mounted to a 11.65`-L x 7.35`-W x 4.85`-H, single axle trailer via six 1/2" anchor bolts, which allows it to fit inside containers. The two-wheel trailer is equipped with 3,500 lbs axle and leaf springs with trailer tires. A standard 2" ball coupling, two standard safety chains, and 7-pin flat trailer plug allow for easy hookup and towing. The trailer tongue can be removed for long term deployment. A rugged and waterproof job box is included, safely secured to the trailer. Four outriggers mounted to the corners of the trailer allow operators to level the trailer, and provide stabilization during deployment. All trailer lighting complies with DOT/FMVSS regulations.